G’Wazzl? Who exactly is GWazzl? While his name is odd, this friendly orange alien has been with Wump Mucket Puppets since late 2009 or so. We certainly didn’t keep the best of puppet building records back then. Here’s what we know about G’Wazzl: His name is pronounced like “swazzle” but with a hard G at the beginning. He is from the planet G’Wook. English is not his first language and sometimes confuses words. G’Wazzl’s young niece G’Wizzl is a member of our cast and frequently helps him understand things. He performed in our very first public performance at the Winston Montessori School. During the show, he got many laughs from the students for wanting to eat baseballs and flowers. What is important is that G’Wazzl is a rather good-natured fellow, and rather happy to bring his own style of outer space silliness to the show. 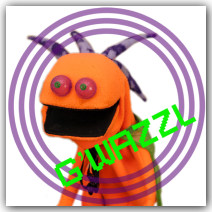 G’Wazzl was the second of our puppet cast members to be built by Lara Rumizen and Terrence Burke. 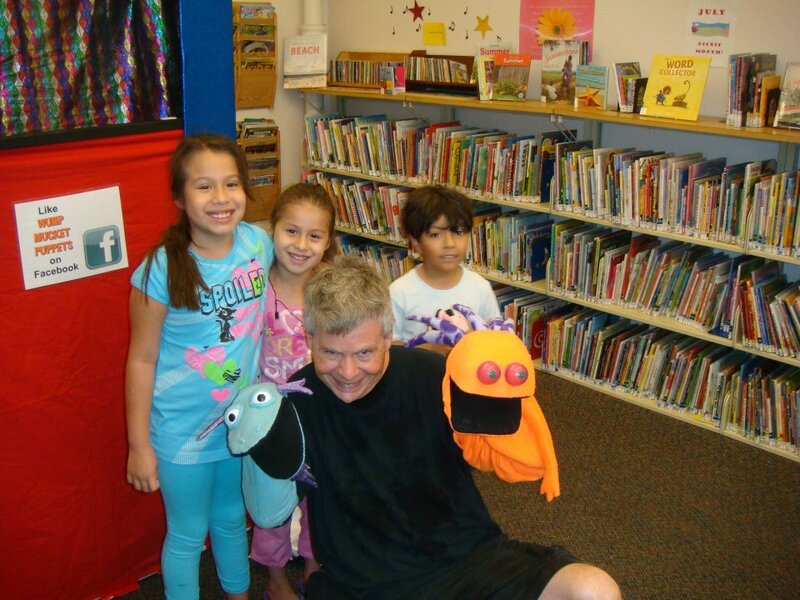 As the scripts called for additional characters, a third puppet was needed to be created to fill those roles. Some of the inspiration for G’Wazzl is from Terrence’s interest in science fiction, aliens, and in particular, UFOs. The name came to him after misreading the title of a foreign language children’s book, whose title has also been lost over the years. G’Wazzl will most certainly be among the featured cast members of our Summer 2019 production “Space is the Place”. Please enjoy this noteworthy live television appearance with G’Wazzl from 2015 CLICK HERE to watch on our YouTube channel.